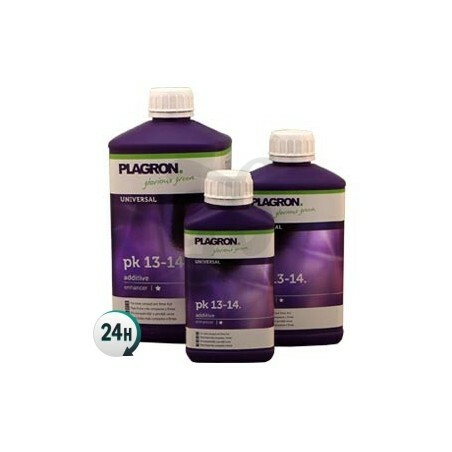 PK 13-14 by Plagron, a fertilizer used alongside basic fertilizers, increases the size of your plants’ flowers during the bud fattening period. 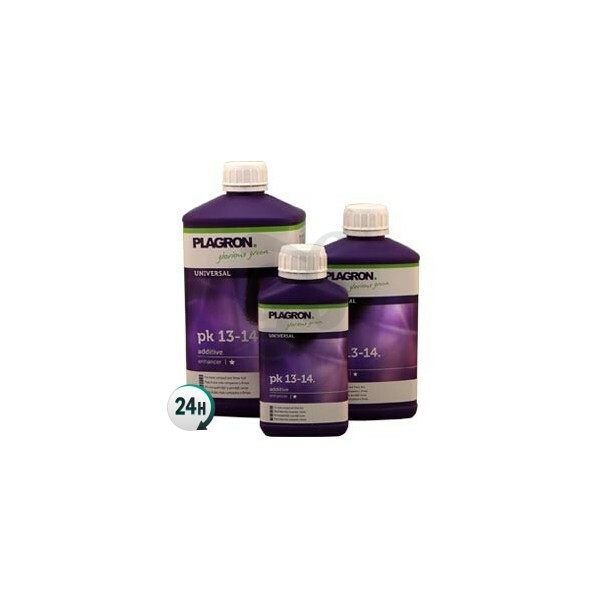 PK 13-14 is a potent fertilizer additive used alongside your base fertilizers in order to cause explosive growth in your plants’ flowers in your plants’ fattening period. Your buds will end up getting larger, heftier and denser, increasing both the quantity and quality of your yield. When your plants begin to flower and then move to the fattening period they need an extra dose of phosphorus and potassium, increasing bud size to the point where they look like they’re about to explode. Combine 13-14 with your base fertilizer, whether it’s coco or hydro A+B, during the fattening phase, which is usually from the 4th flowering week onwards. Phosphorus and potassium are incredibly important elements when it comes to your plants’ metabolic processes, influencing cell growth and sugar production – they are considered the two essential elements when it comes to producing healthy and potent buds. 1.5ml per L during the fattening phase alongside Terra Bloom, Cocos A+B or Hydro A+B. Do not go over the recommended dose, as you may accidentally overfeed your plants.